Richards, Keith. 2014. 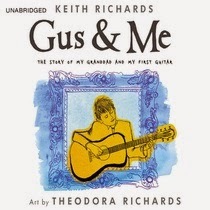 Gus & Me: The Story of my Granddad and my First Guitar. Hachette Audio. Keith Richards, the rough-edged, raspy-voiced, Rolling Stones guitarist, is hardly the man that comes to mind for a picture book writer and narrator, but then again, who better to tell the story of his first guitar? Richards wins the listener over immediately with his folksy, working class Estuary English accent (think dropped h’s and “intrusive” r’s) and unmistakable fondness for his topics – his first guitar and his beloved Granddad, Gus. It was the musically talented Gus who introduced a young Keith Richards to the guitar, teaching him how to ‘old it, and suggesting the classical Malagueña(r) as the pinnacle of guitar mastery. I have yet to see the print version of this story, but I don’t believe it could surpass the audio book. A story with music at its heart needs music to be understood. Richards plays bits from Malagueña in appropriate spots throughout the story, and during a visit to a music shop in London, we hear Steve Jordan on drums. Once, the listener even hears a little chuckle – not musical, but surprisingly sincere. Richards collaborated with other authors, but this is obviously his story, and he delights in telling it. My review of Gus & Me for AudioFile Magazine appears here with a small excerpt. Take a listen! 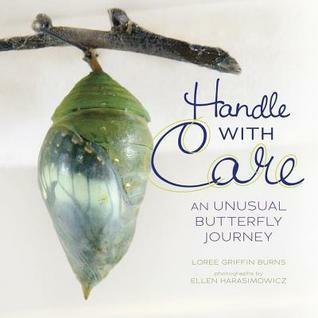 Today at Wrapped in Foil blog we have a discussion of a 2015 finalist for the AAAS/SubaruSB&F Prize for Excellence in Science Books in the Hands-on Science Book category, The Kid’s Guide to Exploring Nature (BBG Guides for a Greener Planet) by a team of educators from the Brooklyn Botanic Garden and illustrated by László Veres. What a lovely title! First of all, the book is beautifully illustrated. 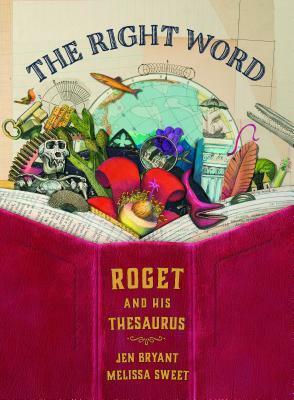 In fact the illustrations are so detailed and complex, it could easily be used as a seek-and-find book for the youngest set. It is also packed with information. Roughly organized by season, it has hands-on activities, explanations of careers (such as nature educator and field biologist), explanations of habitats, and identification guides. 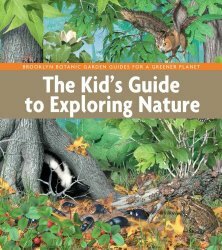 The Kid’s Guide to Exploring Nature is an exciting new book for young nature lovers and scientists. 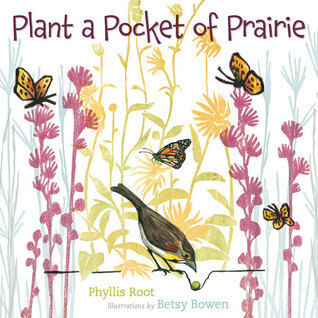 Every nature educator is going to want a copy, as well. We have a summary of all the AAAS/SubaruSB&F Prize for Excellence in Science Books finalists at Growing With Science blog, many with links to reviews. 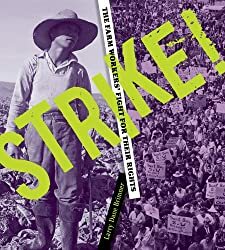 Booktalk: In 1965, as the grapes in California’s Coachella Valley were ready to harvest, migrant Filipino American workers—who picked and readied the crop for shipping—negotiated a wage of $1.40 per hour, the same wage growers had agreed to pay guest workers from Mexico. But when the Filipino grape pickers moved north to Delano, in the Central Valley, and again asked for $1.40 an hour, the growers refused. The ensuing conflict set off one of the longest and most successful strikes in American history. Snippet: The Delano grape workers wanted better wages. Growers only paid them 90 cents an hour, plus 10 cents a log, or box, of grapes picked. At the end of the day, the average picker earned about $1.20 per hour, while some other farm workers were earning more. Look at that cover. How in the world was I going to pass this book up? Tuesday is a service dog for Luis Montalvan, a veteran of the Iraq War. The book is told from Tuesday’s point of view. He helps Luis navigate through the day. Luis has been diagnosed with post-traumatic stress disorder (PTSD) and traumatic brain injury (TBI). Luis suffers from nightmares both day and night. Tuesday walks beside Luis to help him walk along the streets of Brooklyn. He helps calm Luis’s nerves when there are a lot of people around. Walking down stairs is challenging for Luis as he has difficulty with his balance. Grabbing Tuesday’s handle keeps him upright. It’s a wonderful relationship between man and beast. This is a compelling story, but the star of the book is the photographs. Children will love seeing Tuesday with a toothbrush in his mouth or attempting to slurp an ice cream cone. I like the attention this book will bring to service dogs. Before Tuesday Tucks Me In, my experience with service dogs in children’s literature was through dry informational texts. This book will also allow young readers to begin to understand that war affects more than the body. 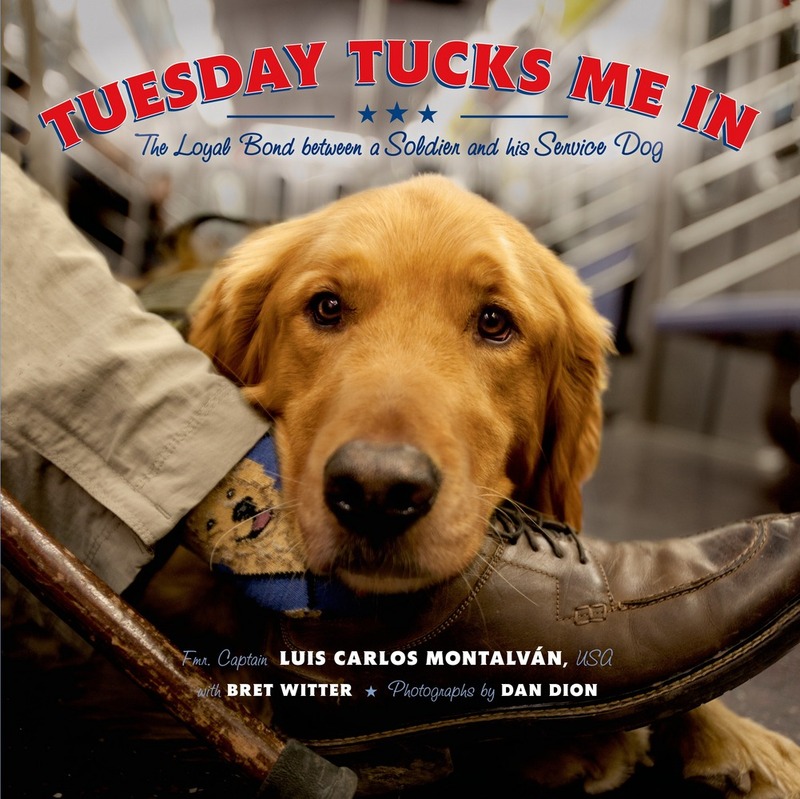 Tuesday Tucks Me In celebrates the bond between a service dog and a veteran. 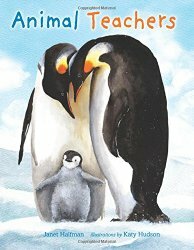 Our featured picture book today, Animal Teachers by Janet Halfmann and illustrated by Katy Hudson has been been off to a great start since it was released in September. 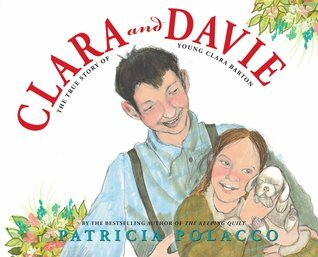 It has been nominated in the 2014 Cybils elementary/middle grade nonfiction category and has already won the Oppenheim Toy Portfolio 2014 Gold Best award. Have you ever wondered how baby animals learn? Are they born knowing everything they need to survive or do they learn from their parents and peers like we humans do? Animal Teachers will answer those questions with some surprising examples. The reader finds out that chicks need to be taught what proper food is and young cheetahs need to be taught how to run. Who would have guessed? For the text Janet has used what could be described as a “reverse Q & A.” Each two-page spread first tells what a baby animal learns from its parents and then asks a few questions about similar things humans might do, drawing the reader in. It is a wonderful way to inspire conversations and deeper understanding. You will definitely want to share this fascinating and sweet book with the animal lovers. It would also be a great resource for the classroom, allowing students to discover new things about animals and learning. If you would like to learn more, try our full review at Wrapped in Foil, as well as some related information and activities at Growing With Science.